Once the prince of Trump's Washington, Kushner is now stripped of his access to the nation's deepest secrets, isolated and badly weakened inside the administration, under scrutiny for his mixing of business and government work and facing the possibility of grave legal peril in the Russia probe. Jared Kushner no longer receives the President's Daily Brief. Washington: They were the ascendant young couples of the Trump White House: Jared Kushner and Ivanka Trump, and Rob Porter and Hope Hicks. They enjoyed rarefied access to the president and special privileges in the West Wing. Glamorous and well-connected, they had an air of power and invincibility. They even double-dated once. But an unlikely cascade of events - set in motion by paparazzi photos of Porter and Hicks published Feb. 1 in a British tabloid- crashed down on Kushner this week. The shortest month of the year delivered 28 days of tumult that many inside and outside the White House say could mark the fall of the House of Kushner. Kushner's tensions with chief of staff John Kelly have spilled into public view, while other dormant rivalries have resurfaced. Some colleagues privately mock Kushner as a shadow of his former self; one official likened the work of his Office of American Innovation to headlines in "The Onion," the satirical news website. Others said fear of the Russia probe has made some officials wary of interacting with Kushner on sensitive matters. And his reputation as an interlocutor for foreign governments has been undermined by the lowering of his security clearance level, which generated embarrassing headlines worldwide. 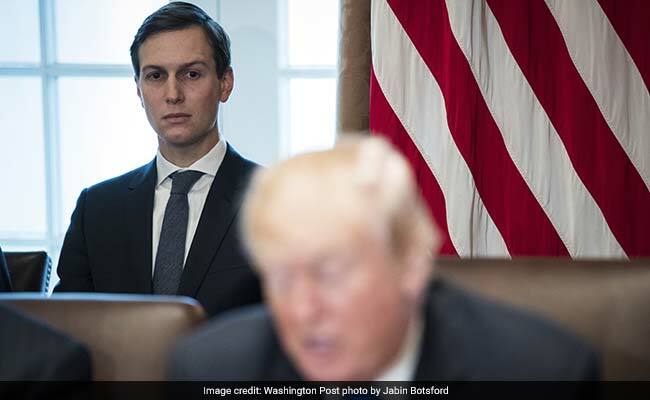 For President Donald Trump, his son-in-law's downfall has been difficult to stomach, if not entirely unexpected, aides said. As Trump said a week ago, "Jared's done an outstanding job. I think he's been treated very unfairly. He's a high-quality person." But privately, the president has reiterated his long-standing concerns. He was angry that Kushner- and, by extension, daughter Ivanka- were in his view being dishonestly maligned. But he also mused this week that everything might be better for them if they simply gave up their government jobs and returned to New York, according to a White House official who has discussed it with him. "This was predictable from the get-go," said Leon Panetta, a former White House chief of staff, defense secretary and CIA director in Democratic administrations. "Under the best of circumstances, these are tough jobs. But when you now add to that list family members who have no clear-cut role, no experience, no real understanding of the rules and a host of financial connections and business dealings that can obviously be used to manipulate you, then that is a prescription for the kind of chaos you're seeing in the White House." This portrait of Kushner's standing in an especially turbulent period of Trump's presidency is based on interviews with more than a dozen senior administration officials, congressional aides and other advisers to the president, many of whom spoke on the condition of anonymity because of the sensitivity of the situation. It took the tabloid photos of Hicks and Porter out on the town to set the current crisis in motion. Shortly thereafter, both of Porter's ex-wives came forward with allegations of domestic abuse, over which he ultimately left the White House- but not before serious questions were raised about the administration's vetting and security clearance process, including the special privileges afforded to Kushner. The end result, delivered in a memo last Friday initiated by Kelly, stripped a number of staffers, including Kushner, of their access to top secrets because of the interim status of their security clearances caused by complications with their FBI background checks. Shortly after Kushner's clearance was downgraded from the "Top Secret/SCI" level to the "Secret" level, he began to lose his access to the highly classified information he previously had been given on a regular basis, according to people familiar with the matter. Kushner no longer receives the President's Daily Brief, a daily digest that's restricted to Trump and about a dozen other top officials, these people said. Kushner also was removed from a number of less-exclusive but still highly classified intelligence reports that are sent daily to senior administration officials, because he no longer has sufficient clearance to read them. His chances of eventually having his clearance access restored or made permanent remain unclear. For months now, Kelly has been considering changes to professionalize the security clearance process, alarmed by how many staffers had interim clearances and how lax the enforcement of access to classified materials seemed to be, according to White House officials. But under scrutiny because of the Porter scandal, Kelly hastened his process and issued a public directive of changes. He coordinated with the White House Personnel Security Office, in part to insulate himself from allegations that he was personally targeting Kushner, officials said. Kelly insisted on treating Kushner just like any other staffer, officials said, and when Trump was asked last week whether a special exception should be made for his son-in-law, the president said he deferred that decision to Kelly. The eventual outcome, however, left Kushner the subject of a disproportionate amount of negative media attention. "You tell me who wants Jared out of power and that's where the attacks are coming from," said Anthony Scaramucci, who was fired as White House communications director by Kelly. "The Rob Porter scandal was a crisis of John Kelly's own doing, and he flipped it into a discussion of security clearances and used it as a foil against Jared. This is how Washington works. It was a coordinated hit." 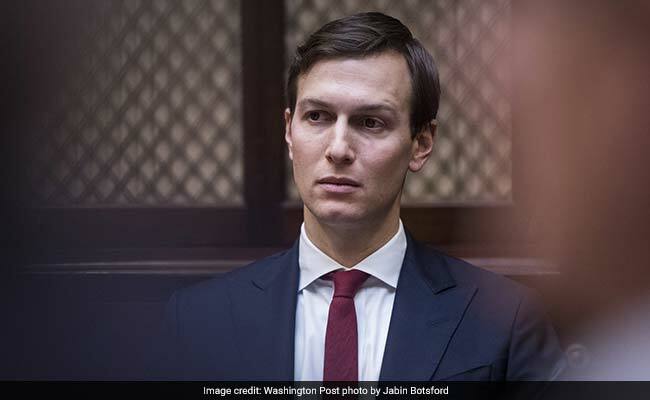 Barry Bennett, a former senior Trump campaign adviser, praised Kushner as a hard worker who entered a Washington ecosystem that resented his wealth and proximity to the president. "You wouldn't blame him if he just said the hell with it," Bennett said. One senior White House official described Kushner as looking "really beaten down" this past week, though the official said he remains "a smooth operator" even if the outside world no longer sees him as "the main artery to the president." This official, who spoke on the condition of anonymity to candidly describe private interactions, said the uncertainty surrounding special counsel Robert Mueller's Russia probe has cast a cloud over Kushner in particular. "Some of his administration colleagues are just more reluctant to have conversations with him or in his company because they're not sure if he's a witness or a target of the Mueller investigation," the official said. Jared Kushner continues to help manage the Middle East peace process. The editorial board of the Wall Street Journal, which is owned by Rupert Murdoch, a friend of Trump's and a mentor to Kushner, wrote Thursday that Kushner had become a political target for the president's adversaries. Describing Mueller's interest in Kushner's business dealings and foreign contacts, the editorial continued: "Only he and his lawyers know if there are other vulnerabilities. If there are, he and President Trump would both [be] better off if Mr. Kushner were out of the White House before they become public." Trump and his family were frustrated by how Kelly handled the rollout of clearance changes and felt Kushner was unfairly exposed, according to people who have spoken with them. The president's adult sons, Donald Trump Jr. and Eric, were especially angry and felt that by not protecting Kushner, Kelly had been disloyal to the president himself, these people said. Kelly, for his part, has steadfastly denied any effort to target Kushner and praised him last month for his "valuable contributions." The Washington Post reported earlier this week that officials in at least four countries have privately discussed ways to manipulate Kushner through his myriad financial interests- a factor in his inability to obtain a security clearance. On a separate issue, the New York Times reported that Apollo, a private equity firm, and Citigroup loaned more than $500 million combined to the Kushner family real estate business, after executives of the firms attended meetings with Kushner at the White House. William Daley, a former White House chief of staff and Department of Commerce secretary under Democratic presidents, said, "A family member with no experience at anything other than real estate, no real profile other than a family-run business with a shady past, given incredibly complicated tasks, was a joke. "People elect a president knowing so much about them, good or bad, but no one knows Jared Kushner in the game he is playing," Daley continued. "The fact that he made so many blunders, starting with the back-channel talks with Russians, should have told one how in over his head he was." Kushner continues to help manage the Middle East peace process and the administration's relationship with Mexico. He also convenes weekly meetings on restructuring the prison system, telling colleagues it is his main domestic focus even though the president has given it scant attention. Early on, Kushner was a conduit to the business community, regularly checking in with corporate leaders and convening them for White House meetings. But the president's business councils disbanded last summer over his divisive remarks following the deadly white supremacist rally in Charlottesville and in the months since, Kushner has had less official contact with business executives. "Jared has faded from the scene," said one executive, who spoke on the condition of anonymity to avoid retribution from the White House. "People haven't heard much from him in months." Amid the chaos, Kushner has attempted to maintain a sense of normalcy. On Tuesday, he and Ivanka dined at the BLT Prime restaurant in the Trump International Hotel down the street from the White House, along with Eric Trump and his wife and the president's youngest daughter, Tiffany. On Wednesday, Kushner attended the morning senior staff meeting where, at Kelly's prompting, he spoke about the recent announcement that Brad Parscale, a close friend of his who worked on Trump's 2016 presidential campaign, would be running the 2020 reelection. Explaining why Parscale was chosen, Kushner spoke of his digital savvy, and also stressed that Parscale has the full support of the president and his family. It is unusual for government officials to so openly discuss campaign politics in a White House staff meeting. Parscale's appointment- first teased out by the Drudge Report, whose founder, Matt Drudge, communicates regularly with Kushner- came as a surprise to some West Wing officials and was seen as an attempted consolidation of power by Kushner at an especially precarious time. Some Kushner critics said the announcement was premature, arguing that the president's political team should be squarely focused on the midterm elections this November before staffing up for a reelection more than two years from now. By this week, that once powerful foursome- Kushner and Ivanka Trump, Hicks and Porter- was fractured and in varying states of disarray. Porter left the administration last month and is no longer dating Hicks, the White House communications director. Hicks, meanwhile, abruptly announced Wednesday that she is giving up her post after six years of working for the Trump family in one capacity or another. In times of duress, Kushner has leaned on Josh Raffel, a deputy White House communications director, to help cope with unflattering coverage. But with crises mounting, Kushner will now need to look elsewhere. Raffel, too, announced this week that he is leaving.